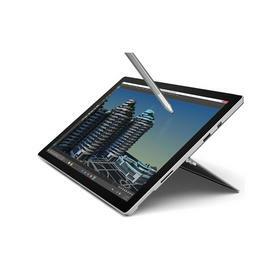 NEW YORK, NY--(Marketwired - Dec 9, 2015) - Adorama, one of the world's leading photography, video, imaging and electronics retailers, is offering up to $300 cash back for users who purchase a new Microsoft Surface tablet and trade in their old laptop, now through December 19th. 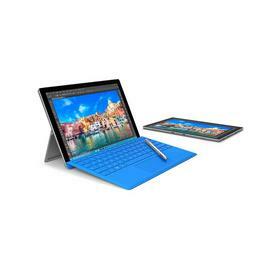 Eligible products include various flavors of the brand new Microsoft Surface Pro 4. Looking for the perfect holiday gift for that special someone? Shopping for the tech-obsessed? "Entertainment buffs will not be disappointed by the [Microsoft] Pro 4's 9 hours of video playback and Dolby speakers that make for amazing, high-quality sound. Not to mention the fantastic photos and videos users will be able to take with the 5MP front-facing camera and 8MP autofocus rear-facing camera." 2. Submit online claim. Complete and submit claim form online within 21 days of purchase. 3. Send in trade-in unit. Package up old laptop and send back in the box from new purchase with Adorama's prepaid shipping label. 4. Receive reward. Cash back reward will be available via PayPal within 28 days of online claim submittal. Learn more about Adorama's cash-back trade-in programs and shop qualifying Microsoft Surface products now. Adorama is more than a camera store -- it's one of the world's largest photography, video, audio and computer retailers. Serving customers for more than 35 years, Adorama has grown from its flagship NYC store to include the leading online destination for imaging and consumer electronics. Adorama's vast product offerings encompass home entertainment, mobile computing, and professional video and audio, while its services include an in-house photo lab, AdoramaPix; resources and gear for photographers, filmmakers, production studios, broadcasting and post houses, and recording artists through Adorama Pro; pro equipment rental at Adorama Rental Company; and the award-winning Adorama Learning Center, which offers free creative education in online channels such as the popular Adorama TV.